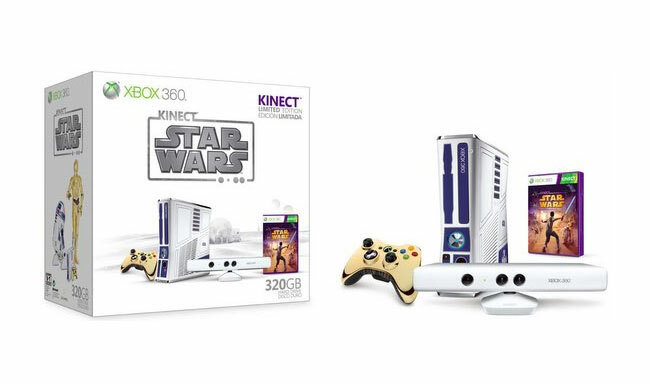 The last we heard about the awesome Star Wars Xbox 360 console back in August, was that its launched was delayed. Well if you have been patiently waiting for the Star Wars Xbox 360 to arrive, you will be pleased to know that its now expected to start shipping in April 2012, according to a source that has contacted the gaming site Kotaku. The Star Wars themed console was first unveiled back in July at the San Diego Comic-Con and the Kinect Star Wars game at E3 earlier in the year. When it does arrive the bundle is expected to contain a themed 320GB console complete with custom sounds related to the Star Wars universe, and will be available for $450 and include a C3PO controller, Kinect Star Wars game, Kinect Sensor, wired headset, and Kinect Adventures game.